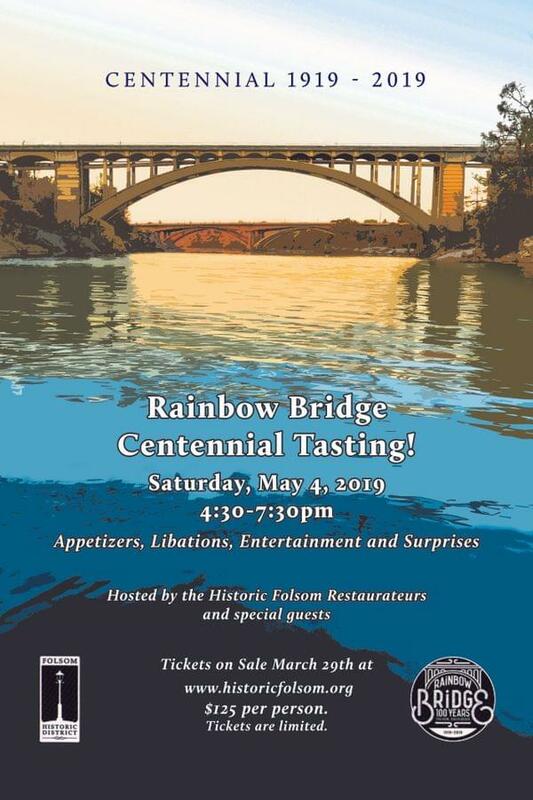 In honor of the Rainbow Bridge's 100th anniversary, this tasting event will take place on the Rainbow Bridge itself, and includes luscious libations and gourmet food provided by Folsom Historic District restaurateurs, plus several guests outside the Historic District. Live music, entertainment and surprises will make this party one not to miss! Adults 21 and over only. We love your pets, but please do not bring them to this event. Tickets are $125 per person and are limited to four per person.